The professional MIDI controller developed for virtual piano players,featuring Kawai’s celebrated wooden-key keyboard action technology. A Keyboard Action Designed with a Pianist’s Touch in Mind. The keyboard action is the most important part of a controller. It doesn’t matter how many gigabytes have been sampled, or how advanced the modelled resonances are – if the controller’s action is sub-par, the virtual piano just won’t feel satisfying to play. Fortunately, the VPC1 is equipped with Kawai’s latest RM3 Grand II action, featuring trademark wooden keys and smooth, consistent movement. Unlike other controllers, the VPC1 incorporates additional grand piano keyboard characteristics, such as graded hammer weighting, ivory-like key surfaces, let-off simulation, and bass note counterweights. 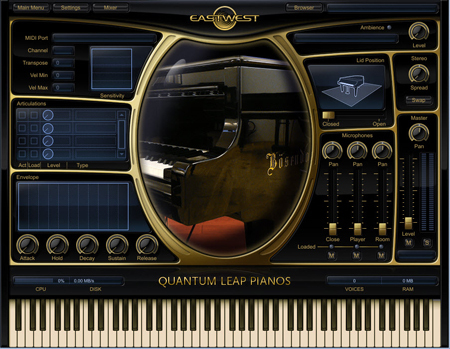 These premium features combine to recreate the exceptional touch of a fine concert grand, allowing your favorite virtual pianos to finally feel as good as they sound. Our Kawai VPC1 is connected to our virtual instrument library, so you’ll have plenty of choices for your favorite piano sound and action. Speaking of favorites, here are a few of ours. 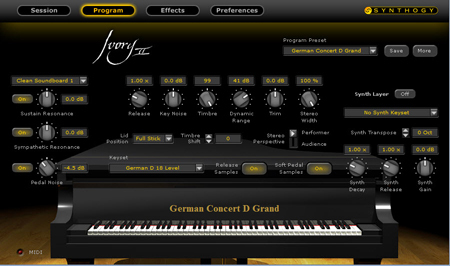 Ivory’s worldwide critical acclaim and popularity has made it the industry standard, and the virtual piano of choice for the world’s most elite musicians. 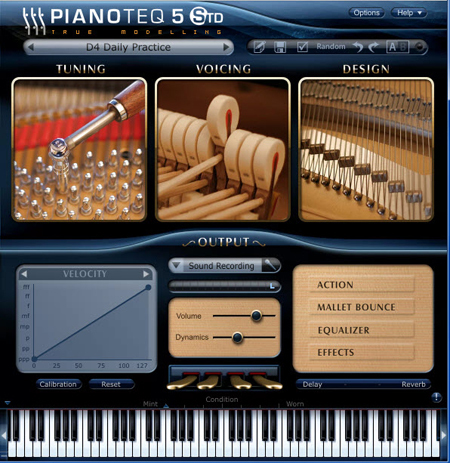 to help you sound your best, Pianoteq’s adjustable physical parameters include hammer hardness, soundboard, string length, sympathetic resonance and more. Four of the world’s finest grand pianos are at your fingertips. The VPC1 features a responsive touch curve ensuring a superb playing experience – regardless of the application. However, for the ultimate piano connection, the VPC1 also includes 5 preset touch curves for a selection of popular virtual piano packages stored in memory, with additional presets accessible using the VPC editor software. Create new touch curves, adjust individual key velocities using the VPC Editor software. This plotted graph defines how key velocity corresponds to the instrument’s volume and tonal character, influencing the player’s connection with their piano. Experienced virtual piano players appreciate the value of a well balanced touch curve.